Update: Remuera Road (route 75) Double Decker Bus Clearance Works – Remuera Residents Association Inc.
Tree trimming for trees that don’t require Resource Consent is underway and the rest will be completed once the consent is approved. The contractor, CSL Infrastructure, is currently finalising their traffic management plans. Work is due to start later in October with most of the work completed by the end of November. To minimise disruption to businesses, much of the work will be completed at night. 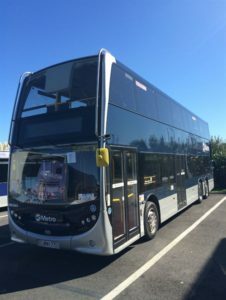 As previously advised, to avoid disruption to retailers over the busy Christmas trading period and because there is less call for the capacity of double deckers over the Christmas holidays, AT have delayed veranda cutbacks in the centre of the Remuera Village until the quieter January period. They are currently working with their contractors, Troy Wheeler Contracting and Maxbuild, on the programme and will be in touch with affected businesses in November. Work on the other verandas scattered along Remuera Road will start shortly and be completed during November. Although the extension of time eases the pressure, AT will do their best to minimise disruption in the area.